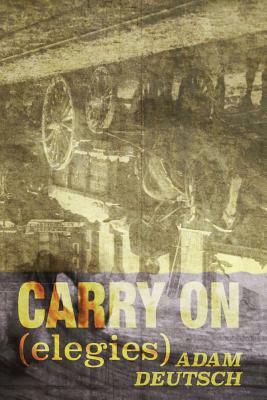 For a number of years, a chapbook called Carry On was available for download, but the press that published that has recently closed up shop. It’s a stand-alone project, with poems that are not a part of other larger manuscripts (except for one poem). Click the cover to order from IndieBound or search for it on Amazon. If poems are meant to share experience, and create shared events, reading’s a unification that can be similar to loss: an experience for everyone. This is a chapbook of twenty-five poems on loss, gathering of what isn’t gone, and what’s changed. “We are never alone in any event,” is a reminder in the title poem, that the death of an entity–individual, an era, status, art, mechanism, monument, or rite–is also an opening.